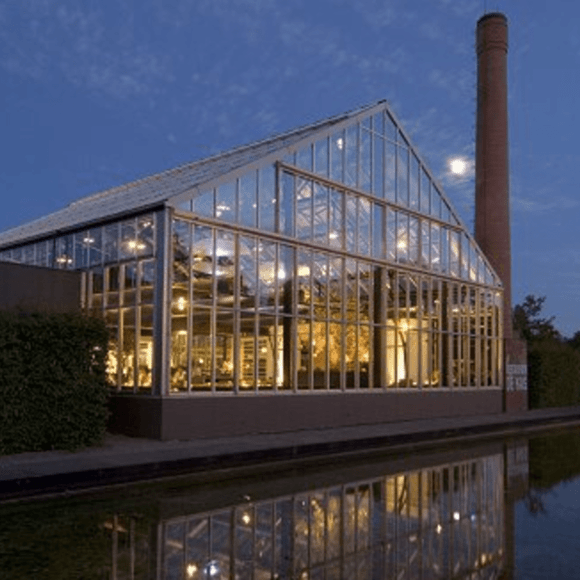 A slightly out of the way treasure in the southeastern side of Amsterdam overseen by previous Michelin star earner Gert Jan Hageman (ex-Vermeer), who in 2001 rescued a 1926 eight-metre high greenhouse from demolition and reinvented it as a foodie paradise that draws from the surrounding gardens and nursery, where each day Hageman cultivates fresh herbs and vegetables for his kitchen (while also drawing from reliable local sources and a field ten kilometres away). The glass conservatory makes for a novel dining experience, one far removed from the density and quaintness of central Amsterdam, and the food is modern rural Mediterranean. The restaurant's name translates as 'The Greenhouse'. Tram 9 from Central Station to Hogeweg. One of the most unique restaurants anywhere. You can be assured of fresh food, as the offerings are based on each day's harvest. This place is a real experience. The menu is set and you just sit back and enjoy it. There are tables outside for when the weather is warm. You can have a glass of wine outside, then move inside for the meal. Lunch is less expensive than dinner. You can just take a taxi there from the city center.